AAPT is in the process of creating a new public website. The current website design will be replaced with the new design in the near future. To give the membership a sense of how the new site will look and feel, a test site has been developed. The test site is not set up for transactions and links to pages or sites other than the test site should not be used for entering data. The test site is for inspection only and can be found at https://dev.aapt.org. Please take this opportunity to see what the new site will be like. Feedback can be sent to feedback@aapt.org. Tuesday November 13 is the last day to submit a post deadline abstract. All post-deadline abstracts will be scheduled on January 15 in the last session of the day. This is a great opportunity to present your innovative research and share creative teaching methods with your peers. Please click here to submit your abstract. Wednesday, November 14 is the last day to register at the early bird rate and save over $100. Please click here for more information. Registration is open! Please click here for more information. 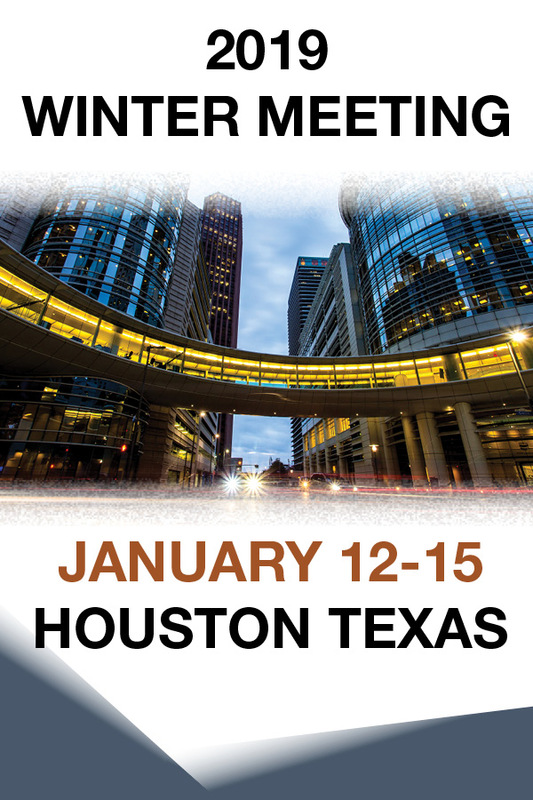 The 2019 AAPT Winter Meeting will take place at the Westin Galleria and the Westin Oaks Houston at the Galleria in Houston's Uptown district. Both hotels are connected by the Galleria Shopping Center. Please click here for more information. Janelle M. Bailey , Heather Lewandowski , Sherry Savrda , Robert Teese , and Aaron Titus will be recognized as 2019 recipients of the Homer L. Dodge Citation for Distinguished Service to AAPT during the 2018 Winter Meeting in Houston, Texas. The High School Physics Teachers Grant provides grants to encourage high school physics teachers to experiment and improve on their teaching practices. It is our belief that as teaching practice improves, then physics enrollment and excitement among students increase. The deadline for applications to request funds is December 1. Support New Teachers This Fall! Looking for ways to improve your physics teacher education program? Emulate the best! The PhysTEC program will be hosting a webinar to support physics departments in improving their teacher education programs by completing the new Physics Teacher Education Program Analysis (PTEPA) Rubric The PTEPA Rubric is a self-assessment instrument based on a study of “thriving” programs that routinely prepare at least five physics teachers per year, and is designed to help departments analyze and improve their programs. During the one-hour webinar, the lead study author Stephanie Chasteen will introduce the Rubric, lead participants through one section of it, and answer your questions. The webinar will take place Tuesday, Nov. 13, at 2:00pm ET. No signup is needed; just go online to https://apsphysics.zoom.us/j/537314508 at that time. The Chesapeake Section of AAPT has our fall section meeting coming up Saturday, November 10th at Tidewater Community College in Virginia Beach, VA. More information is available online at www.csaapt.org. You’re invited to read Issue 67 of the IUPAP C14 Newsletter (and to subscribe) at: https://mailchi.mp/04489a02108d/icpe-newsletter-issue-67-september-2018.